This weekend I went through some old notes/memorabilia that I’d saved up over the years. Some of what I saved was from friends, some from old boyfriends (think: high school). For the longest time I thought I wanted to save these notes/things forever. I figured… well, they’re valuable memories to me, right? And then the other day it hit me… it would actually feel FREEING to let these things go. Perhaps they once served value, but I decided that their value had been fulfilled back then and it was time to toss them. For the purpose of this post, I’m going to focus on #3, but hey… if any of you are in a similar boat and are curious about #1 or #2, please feel free to ask. Write me in the comments or email me at paige@paigeschmidt.com. I’m so happy to share. As I went through that binder full of history (it not only had notes from friends but old diets/food logs/etc.) I realized once again, that I used diets to distract me from the painful areas of life. When things in my home were chaotic, dieting gave me a sense of stability and control. When I was insecure in my relationships (even those super young ones!) dieting and focusing on my body helped me to feel like I was controlling my confidence (or lack there of). When life felt out of control, I could hyper-control my eating, exercise, and weight. I attached so much emotion to dieting and my weight that I would literally have thoughts that sounded like this: “Even if everything else in my life falls apart, at least I’ll be skinny.” No joke. Looking back, I think those disordered thoughts gave me a feeling of safety. I needed that “even if everything else falls apart, somehow I’ll be okay” belief. Even if it was illegitimate. You may be long-gone from your diet days (or you may just now be deciding to leave them behind). Regardless, hear this: if at any point diets/body-control start to appeal to you, I want to encourage you to check-in on your life. Is anything happening that is making you feel out of control? Do you feel overwhelmed? Responsible to fix something? Anxious? If so, these are likely the reasons that you’re craving to cling to that ol’ familiar diet again. You’re not actually craving a diet, you’re craving control. Your mind is remembering that ol’ familiar thing that gave you that sense of power. But before you decide to diet again, I want you to take a BIG step back and reflect. What would a diet actually do for you? What would it require of you? What would it take away from you? What burdens might it cause you to feel? Is it really giving you more control? Instead of dieting, explore other possibilities of stability. For me, I found stability in my spiritual life through Jesus. Never before have I known such a firm foundation of stability and love. Whatever it is, I promise you… it’s SO much more worth it to explore and pay attention to what is ACTUALLY going on rather than finding faux-stability in dieting and ignoring things that you could actually be nurturing/learning from. Did you like this post? Do you resonate? Agree? Relate? I would LOVE to hear your thoughts. Please post them below with us in a comment. I read every single one! 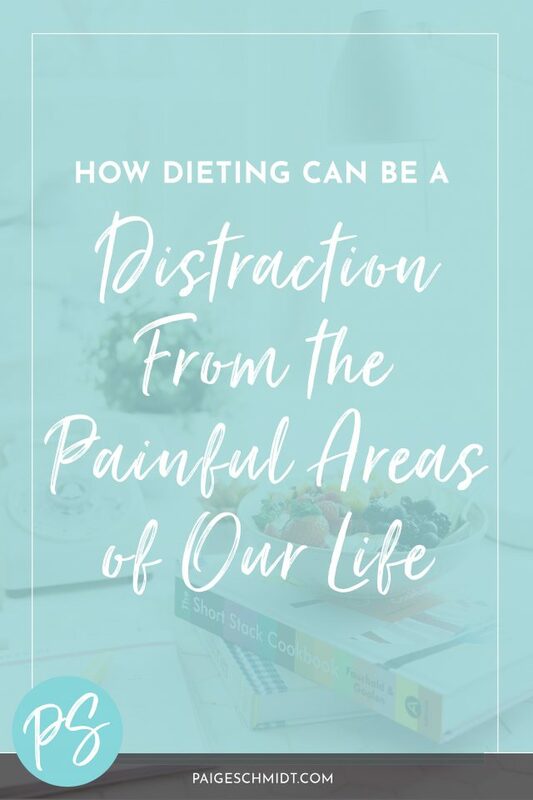 Next Post: How Procrastination and Waiting Can Lead to Emotional Eating Previous Post: How Does Health Fit in With Intuitive Eating?